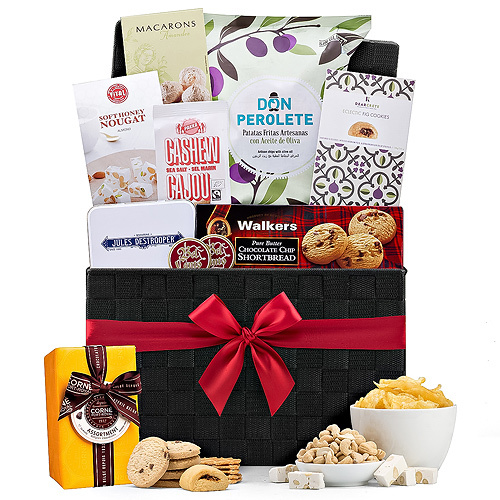 Explore the best sweet and savory gourmet foods from Europe in our brand new edition of our ever-popular Ultimate Gourmet Hamper, Office Edition. 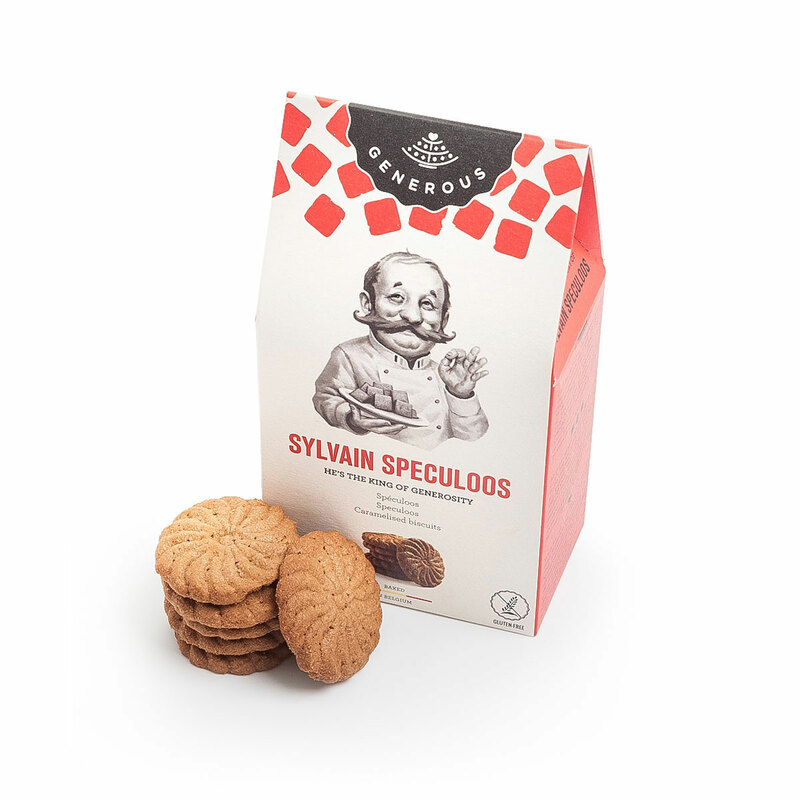 Discover a treasure of tastes from Belgium, Spain, France, and Scotland. With an abundance of treats to share, this is the perfect gift idea for offices, groups, and families. 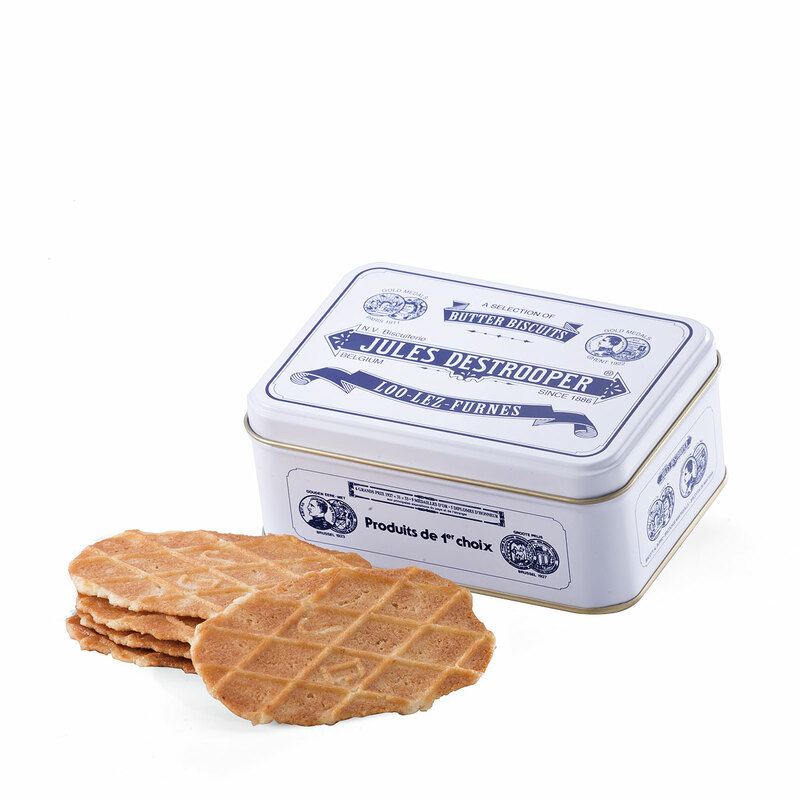 Start with rich Belgian chocolates by Corné Port-Royal, delicious Generous Nicole Noisette cookies, and delicious Jules Destrooper butter crisps in a keepsake retro tin. 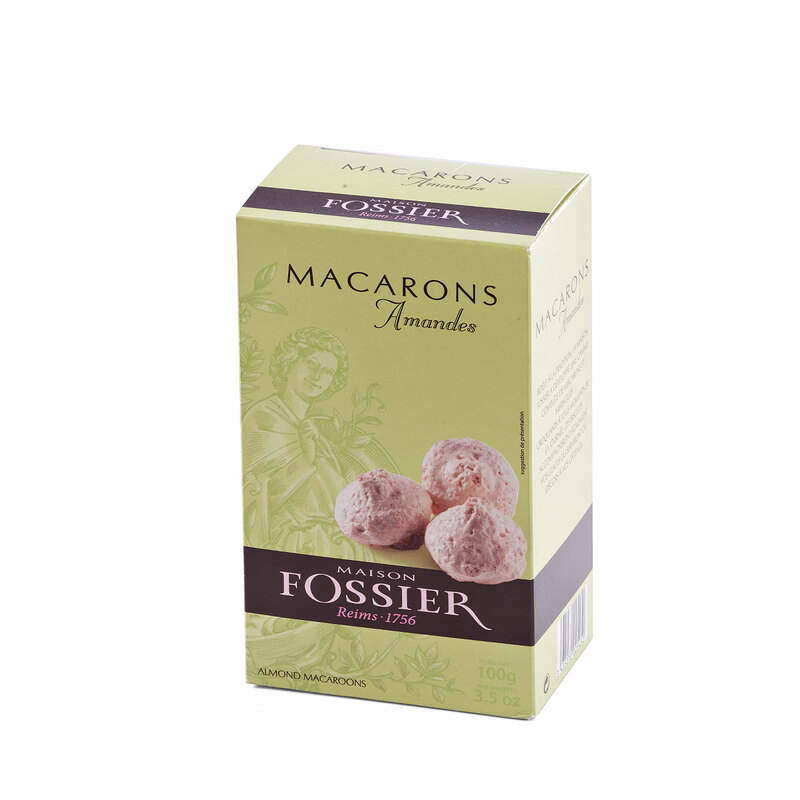 Next enjoy elegant Maison Fossier Macarons Amandes, classic Walker's chocolate chip shortbread, and tasty artisan potato chips from Spain. We complete this gourmet gift basket with Oxfam Fair Trade cashews, Vital Chocolate-Cappucino nougat, and intense Belgian Bel Canto Menthol Zoethout (licorice) tins. 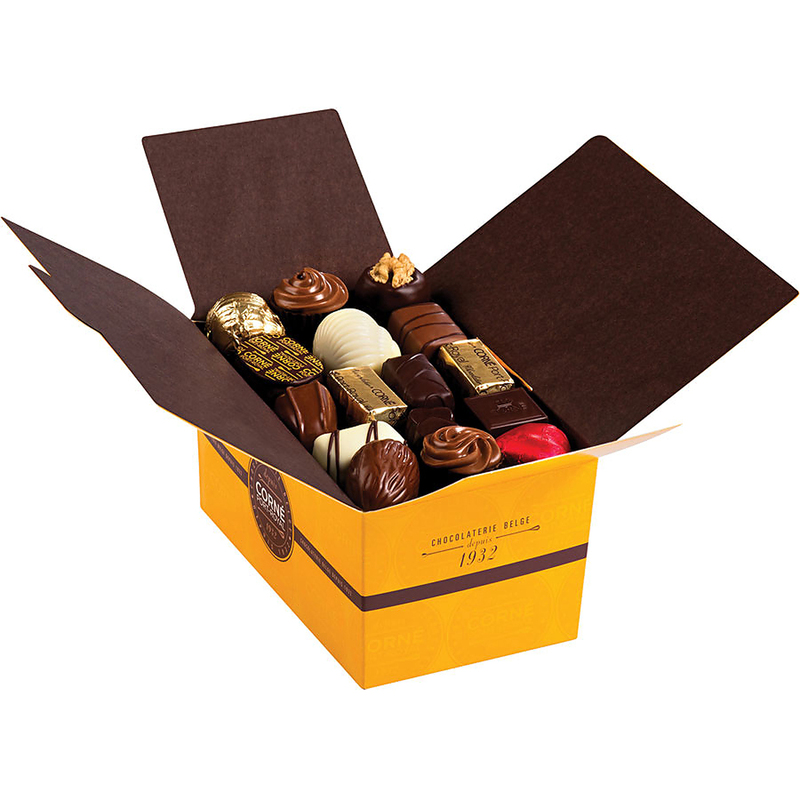 Send this luxury business gift to colleagues in Europe for any important corporate gifting occasion, to express appreciation, or to offer heartfelt congratulations on a promotion or a job well done. 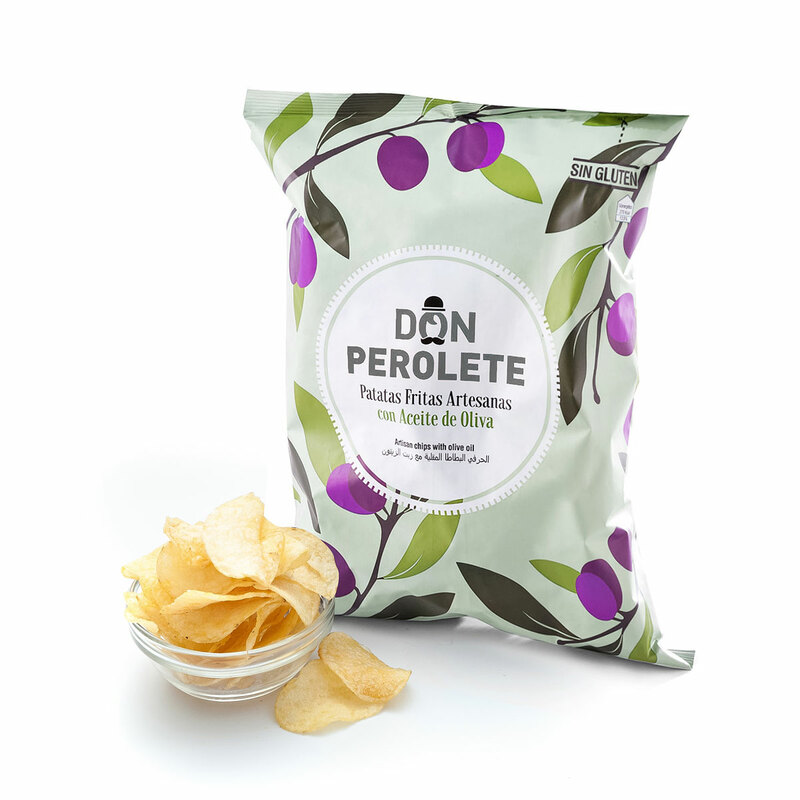 It is an equally popular gourmet gift idea for families and friends. Please note that the bowls are not included. 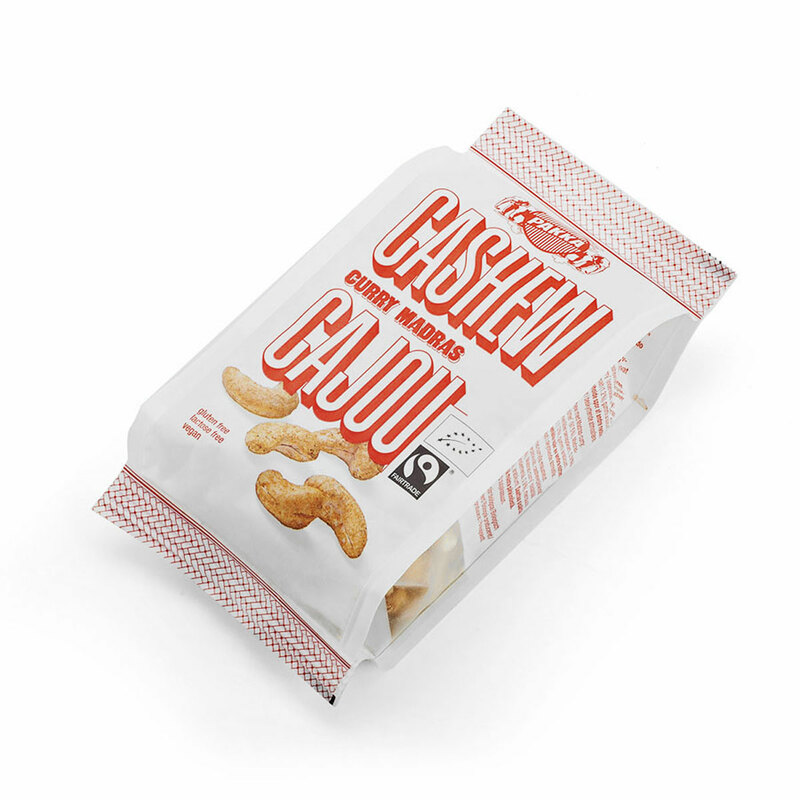 Ingredients: Cane sugar, hazelnuts, egg white (free reange), potato starch. 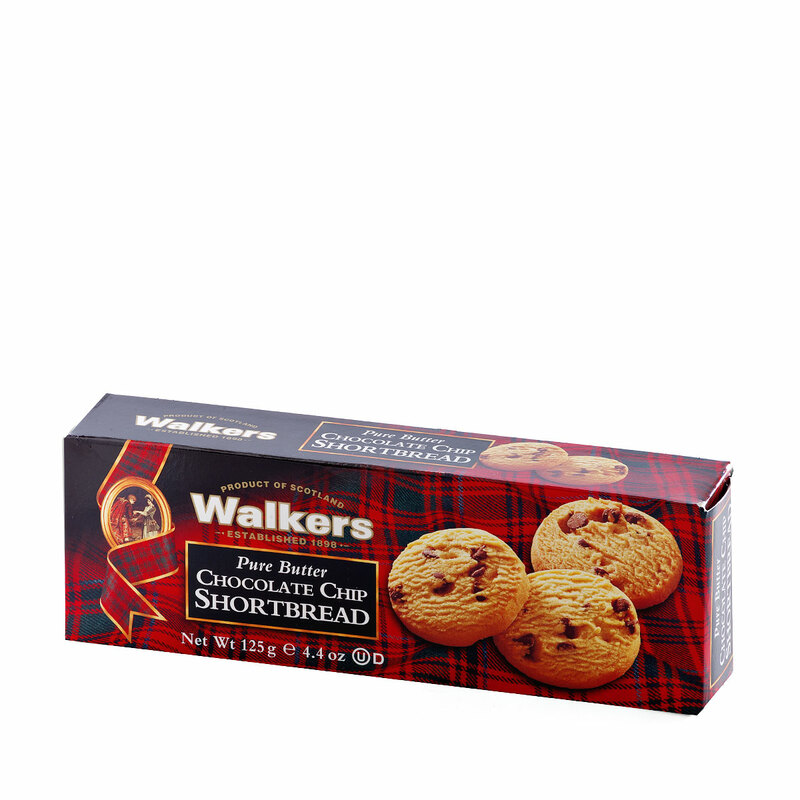 Ingredients: sugar, glucose syrup, almonds (min.25%), honey 3%, egg white, wafer (potato starch, sunflower oil). 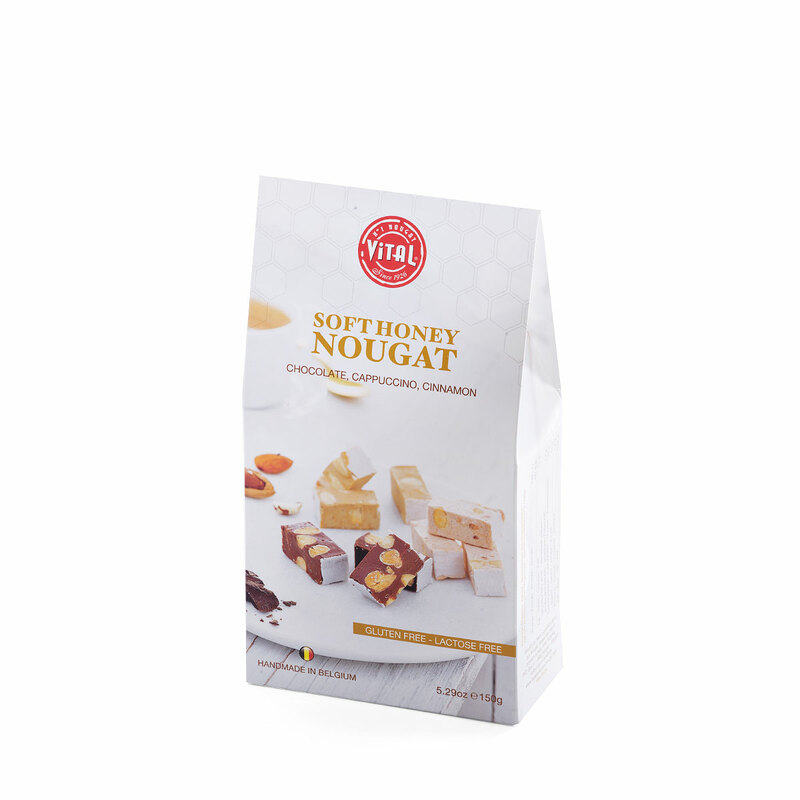 Chocolate nougat contains: dark chocolate 25% (cocoa mass, sugar, cocoa powder, emulsifier: soya lecithin, natural vanilla. Min.65% cocoa solids). Cappuccino nougat contains: instant coffee 2%. Cinnamon nougat contains: cinnamon confectionery 10% (sugar, cinnamon, caramel).